SPIRAL BEVEL GEAR - IWASA TECH. 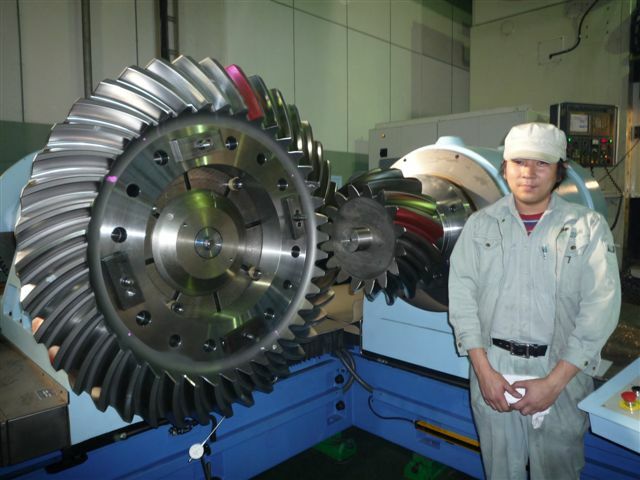 We can calcurate strength, design and manufacture high precision spiral bevel gears as customer need. 5 Axis CNC Milling Large Bevel Gears up to 2000mm dia. 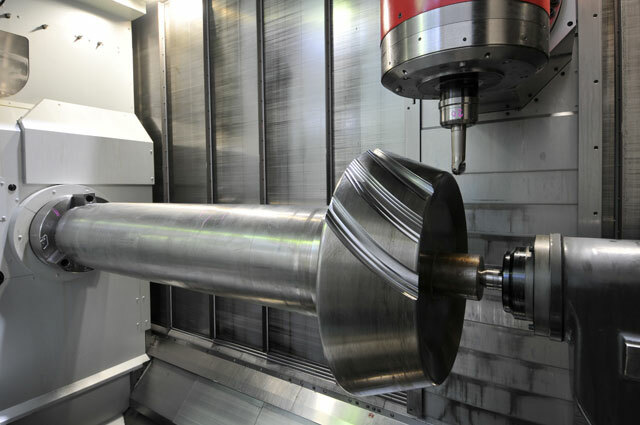 IWASA TECH has introduced the 5-Axis Machining Center for manufacturing large bevel gears based on the Cyclo-Palloid tooth form up to 2,000mm dia. 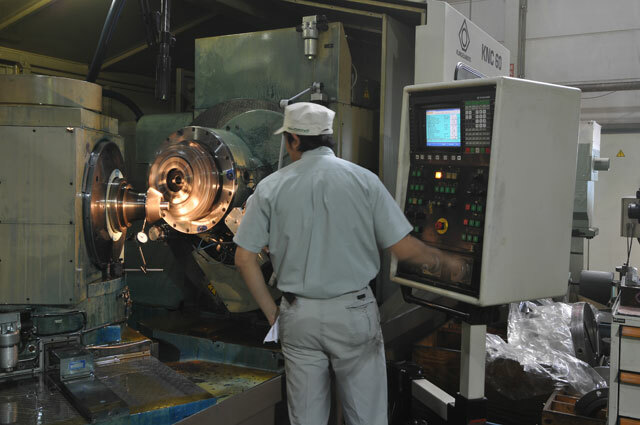 Much has been discussed about green cutting and hard finishing of spiral bevel gears on standard milling machines. This versatile machine will eliminate the need for dedicated bevel machines with expensive tools and accessories. Convincing arguments can be made for the practical use of this technology in the large coarse pitch with low volume bevel gear production. 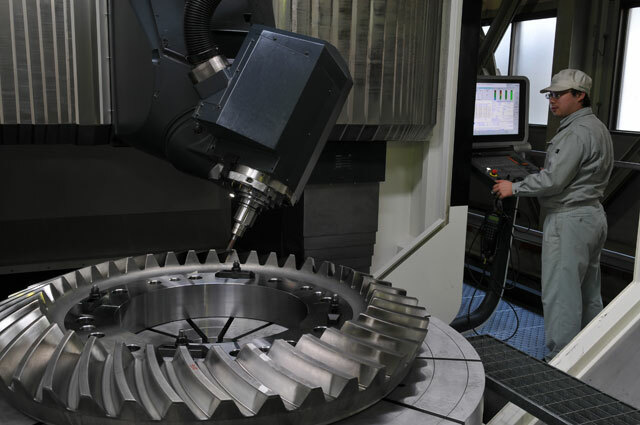 IWASA TECH implements its self-developed TCA program and CAD/CAM system to optimize the large bevel gear design based on the Cyclo-Palloid system, as well as NC program to realize the closed loop system linked with the Coordinate Measuring Machine. DMG DMU210P 5 axis CNC machine capable of milling the large bevel gear up to 2,000mm dia. 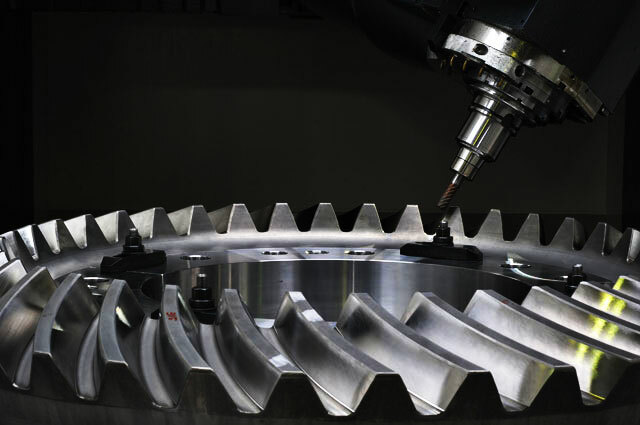 IWASA TECH has gained the expertise and ability to manufacture high-precision spiral, straight, and skew bevel gears. Applications include but are not limited to industrial equipment in the power generation, marine, and mining applications. 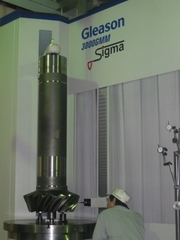 It is possible to calculate the appropriate design and specifications that will result in the production of high-precision spiral and straight bevel gears in accordance to customer demands.